Use the form below to contact accommodation Arenal Volcano Inn directly. Cabana #1 is a two-story house, it has 3 rooms with one double bed in each room, 2 bathrooms with hot shower, kitchen, living room, balcony with excellent view to the Arenal Volcano and pool. Cabana #2 was built among the trees and next to a river. It has 1 room with 1 double bed, bathroom with hot shower, kitchenette and balcony. 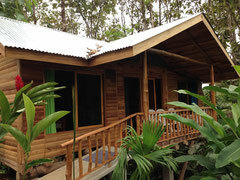 Cabana #3 is very cozy too, it has 2 rooms, bathroom with hot shower, living room, kitchen and patio. 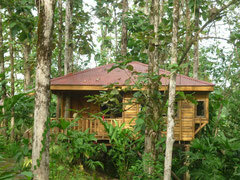 Cabana #4 has 2 rooms, bathroom with hot shower, kitchenette and balcony. Each Deluxe Room is a non-smoking room featuring two Queen Size beds. 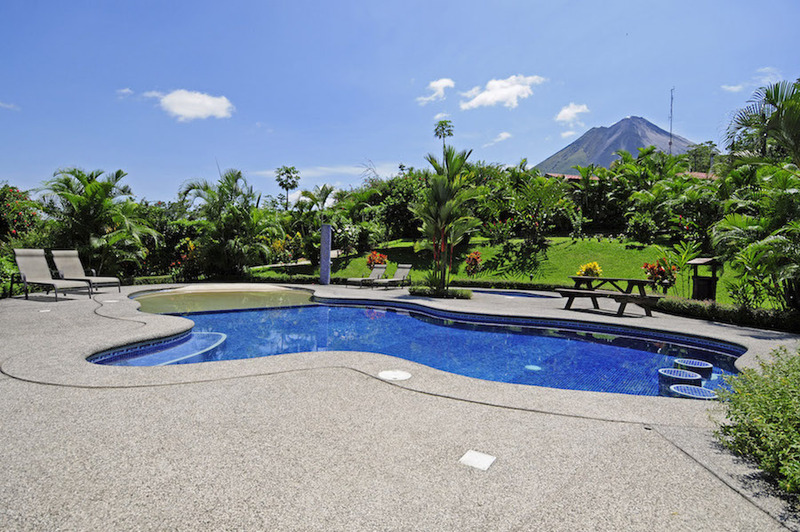 The amenities Arenal Volcano Inn provides for these rooms are: mini split air conditioner, cable TV, mini fridge, a small breakfast counter, alarm clock, hairdryer, safe, coffeemaker, complimentary WI-FI. 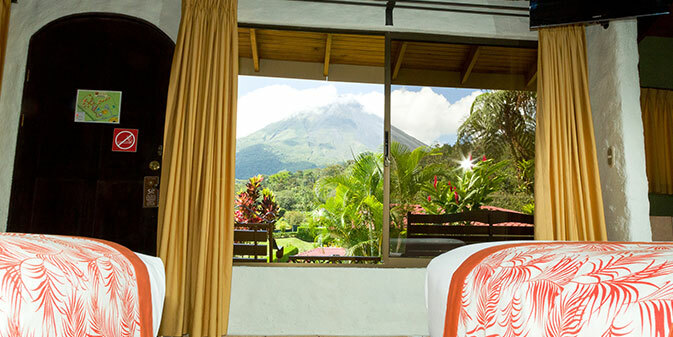 Every Deluxe Room has an open private terrace providing a clear view to the Arenal Volcano landscape. These rooms are more spacious than the Standard rooms. The exclusive Junior Suite is a non-smoking room that features a King Size bed. 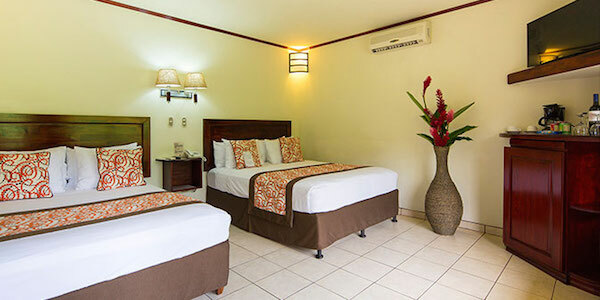 The amenities the Arenal Volcano Inn provides for this room are: a mini split air conditioner, cable TV with a 32 inch LCD, mini fridge, breakfast counter, alarm clock, microwave oven, hairdryer, safe, coffeemaker, bathtub/jacuzzi, and complimentary WI-FI. 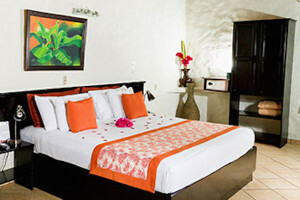 The Junior Suite has an open private terrace providing the best view of the gardens and the Arenal Volcano. 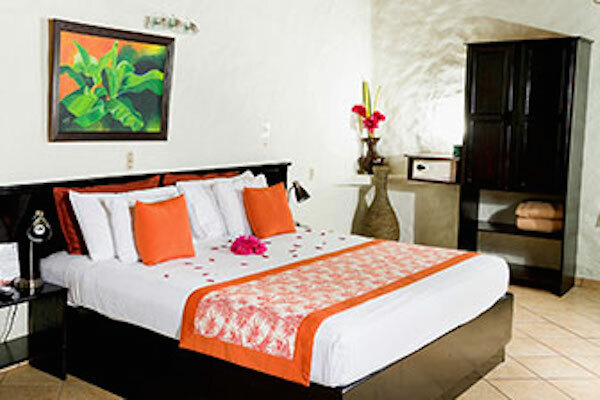 This is the preferred room for those guests that come to celebrate a special occasion, anniversary, honeymoon or even their first wedding night. The Standard Superior Rooms are non smoking rooms featuring a Queen and a Twin Size bed. 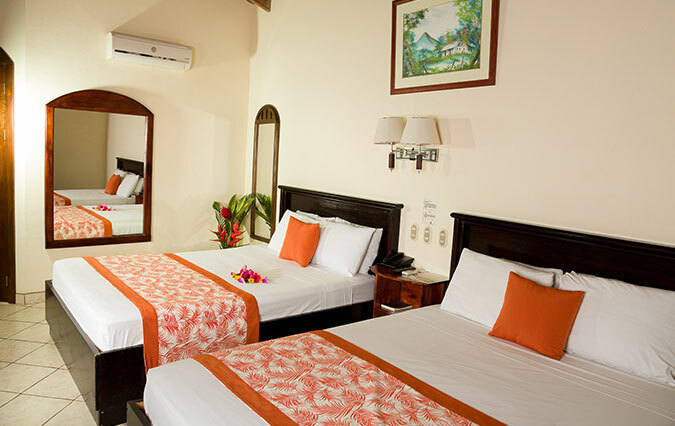 The amenities the Arenal Volcano Inn provides for these types of rooms are: mini split air conditioner, cable TV, mini fridge, alarm clock, hairdryer, safe, coffeemaker, and complimentary WI-FI. 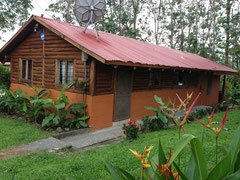 The rooms have an open private terrace providing a nice view to the Arenal Volcano and the lush gardens of the hotel. 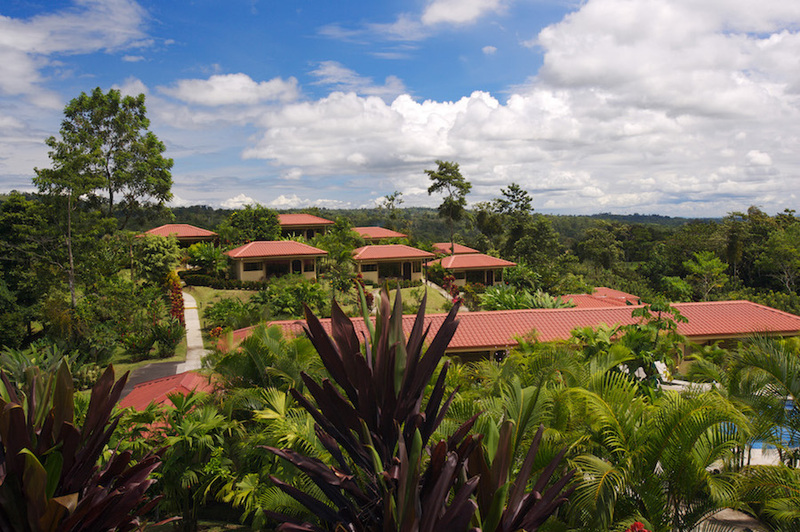 The Arenal Volcano Inn is a 25 room hotel surrounded by exotic nature that can be admired from the tranquility of your room or by taking a small walk around the hotel gardens. 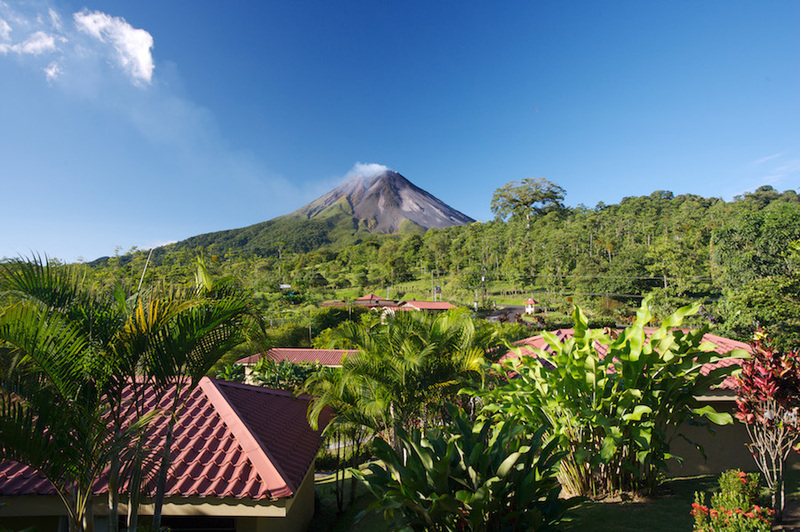 Every guest may enjoy the view of the Arenal Volcano from their own private terrace. 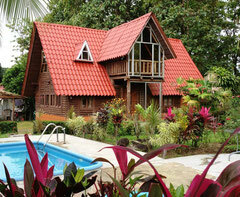 Come visit us and make Arenal Volcano Inn your home while vacationing in Costa Rica. 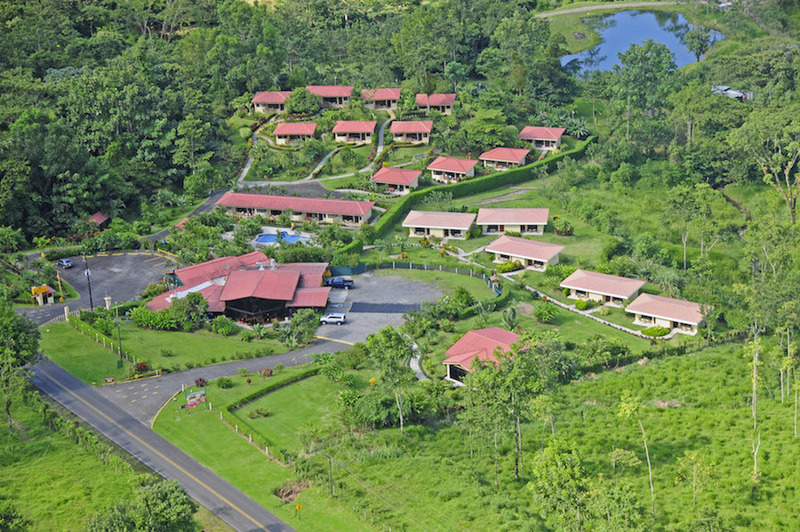 The Arenal Volcano Inn is the ideal location for those who want to discover the many diverse natural attractions that the Arenal Volcano area and La Fortuna of San Carlos offer. Getting here is easy, as you can rent a car and self-drive, or opt to leave the driving to someone else, and take advantage of the many transfers and tours to the area in a comfortable air-conditioned vehicle.